New product from premium producer Mae Pranom. It says in Thai "Pla Yang" (pla = fish, yang = grilled). 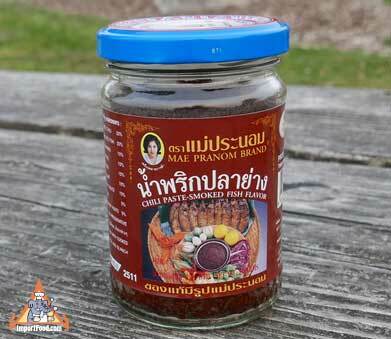 This is smoked fish chili paste with a true Thai flavor that wouldn't usually be found outside of Thailand. Serve with steamed jasmine rice and fresh or boiled vegetables. 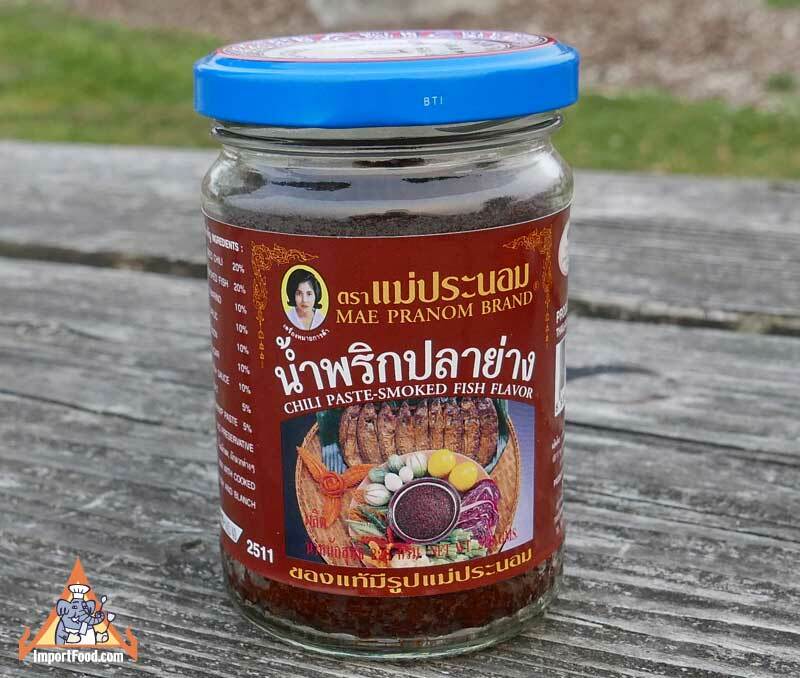 Ingredients: dried chili, smoked fish, tamarind, garlic, onion, sugar, fish sauce, salt.